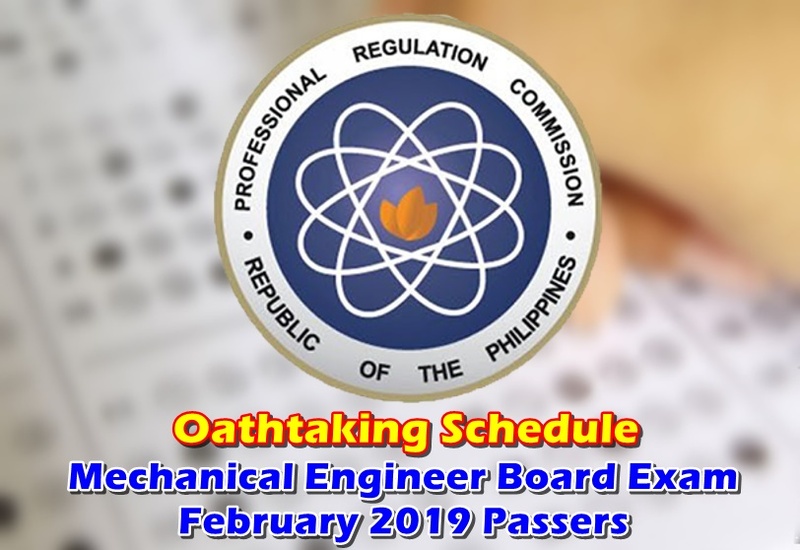 OATHTAKING MECHANICAL ENGINEER BOARD EXAM FEBRUARY 2019 – The Professional Regulation Commission (PRC) released the schedule of the oathtaking of passers of Mechanical Engineer Board Exam February 2019. One of the licensure examinations conducted by PRC on February 2019 was the board exam for Mechanical Engineers. It was held on February 24 and 25 at the different testing centers nationwide. Among the PRC testing centers where the exam was held are the ones in Baguio, Manila, Tacloban, and Cebu. The licensure exam gathered thousands of Mechanical Engineering graduates. After passing the board examination, among the next steps for the passers are the verification of rating, the initial registration, and the oathtaking which is usually held a few weeks after the results are out. Recently, the Professional Regulation Commission (PRC) released the oathtaking schedule for the Mechanical Engineer Board Exam February 2019 passers. Based on the official announcement of the Commission, the oathtaking will be on March 30, 2019, 1:00 o’clock in the afternoon at the Reception Hall of the Philippine International Convention Center (PICC), CPP Complex, Roxas Boulevard, Pasay City. According to PRC, the inductees and the guests of the event should wear a formal attired. The Commission stressed in its announcement that the wearing of pants and jeans are strictly prohibited. With regards to the tickets for the event, you may purchase it at the Philippine Society of Mechanical Engineers (PSME) – Manila Chapter, Room 407, Don Lorenzo Building, P. Paredes St., Sampaloc, Manila. The buying of corsage is optional. We’re pleased to have helped you on your inquiry regarding the event. Thank you for visiting us. Rest assured we’ll continue to post informative updates.